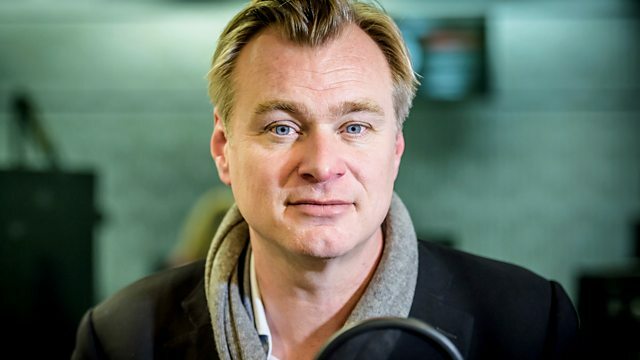 Kirsty Young interviews director Christopher Nolan. Christopher Nolan is best known for reviving the Batman film franchise and for directing the blockbusters Inception and Dunkirk. His films have taken nearly $5 billion at the box office. Born in London in 1970 to an English father and an American mother, he discovered film-making at the age of seven. In what he describes as "a leap of faith", his father lent him his Super 8 camera - and he's not stopped making films since. From youthful experiments, manipulating his action figures and shooting stop motion animations, he progressed to making short films at university where he read English - although he spent more time at University College London's Bloomsbury Theatre, home to the film society, than the lecture theatre. His first feature film, Following, had enough festival exposure and critical success to secure him his first official budget of $4.5 million to make his next film, Memento. In 2005 he was hailed for reinventing the Caped Crusader in the dark and gritty Batman Begins. He regularly works with the same actors and production team including his long-time producer, his wife, Emma Thomas. The couple's latest film, Dunkirk, is nominated in the best picture category of the Oscars this year and Christopher has a nomination for Best Director. The director on shooting on film, working with his family and if he'd direct a Bond film. The Thin Red Line: Original Motion Picture Soundtrack. Performer: Murray Perahia. Performer: Radu Lupu. Original Motion Picture Scores: Withnail and I. Some of the finest screen stars and famous filmmakers to appear on Desert Island Discs.